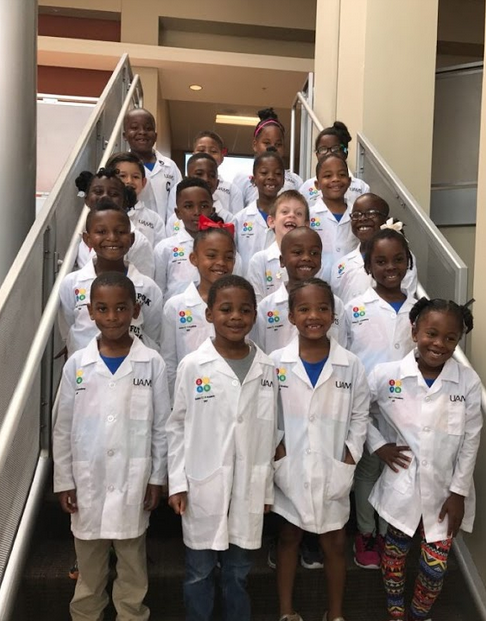 The UAMS Center for Diversity Affairs is pleased to introduce our new Junior STEM Academy! Junior STEM Academy (JSA) is a summer program for children grades K-6th. JSA is a 2-week summer program beginning on June 10, 2019 and ending on June 21, 2019. The times are 8:00 AM to 4:30 PM, Monday through Friday. This 2-week summer program is designed to immerse students in a world of STEM that focuses on health and other sciences while incorporating technology, engineering, and mathematics. We will explore many different scientific disciplines such as biology, chemistry, physics, anatomy, astronomy, meteorology and more. JSA contains 2 field trips. There will be plenty of hands-on learning and interactive activities to engage the young minds! Additionally, JSA will introduce students to professions in the field of healthcare — physicians, nurses, physical therapists, researchers and more. Students will also be introduced to other professions in the fields of STEM. Apply to the Academy Today! non-refundable check/money payable to UAMS Center for Diversity Affairs in order for the application to be considered. The program fee includes all lunches, 2 daily snacks, and all field trips. if you have multiple children, contact coordinator about pricing. Program Fee not to be paid until notification of acceptance is made.